This at-home test is an easy way to evaluate long-term EPA and DHA levels in your body which can determine if dietary changes may be needed to help improve brain fog, fatigue, and heart health. 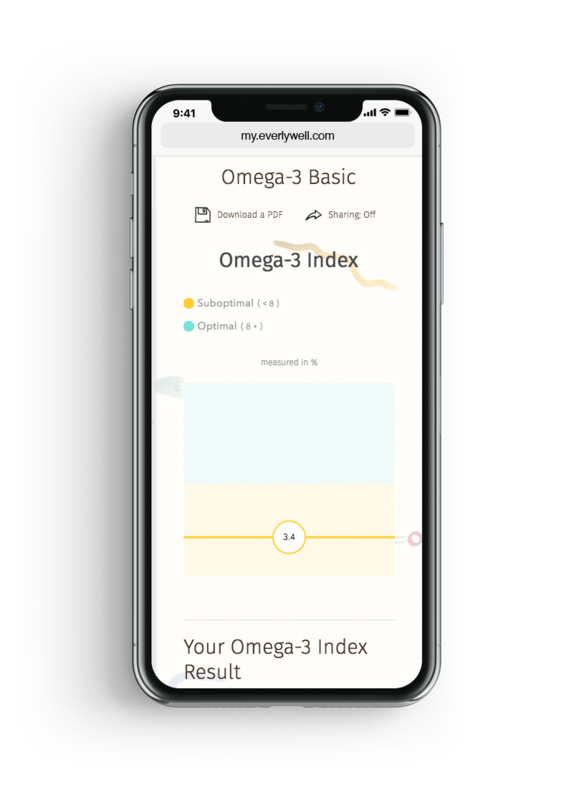 The Omega-3 index is a measurement of how much Omega-3's are found in the membranes of red blood cells - giving you an indication of how much Omega-3's you have in your body. People who may be interested in this test include those with a personal or family history of heart disease or Type 2 Diabetes, individuals with a family history of dementia, women who are pregnant, considering pregnancy, or breastfeeding. Two Omega-3 fatty acids, EPA and DHA, are measured in the membranes of the red blood cells and the Omega-3 Index is expressed as a percentage. 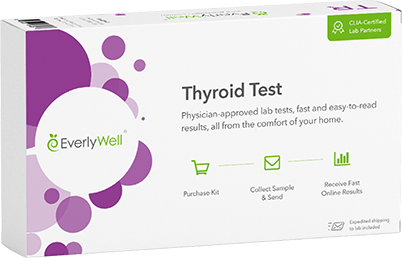 The results will show if your Omega-3 Index level is desirable or out of range. 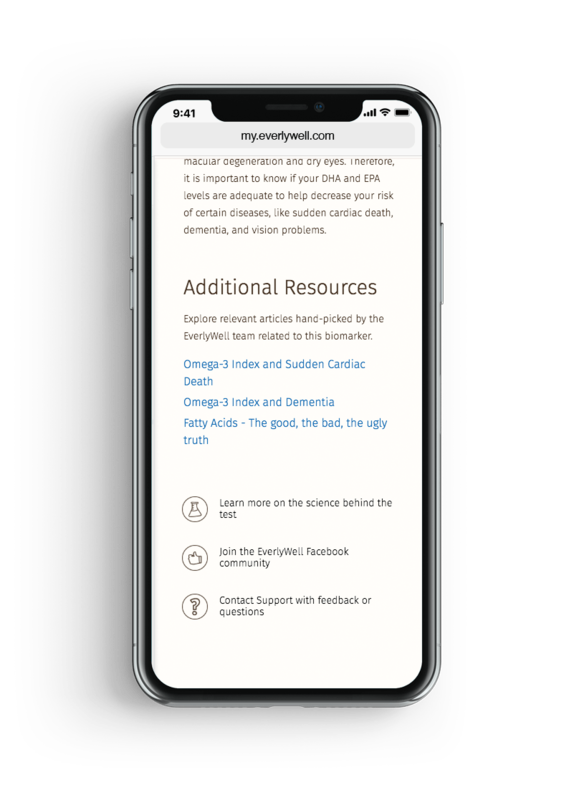 Desirable index levels have been associated with decreased risk of heart disease, dementia, and certain eye conditions. 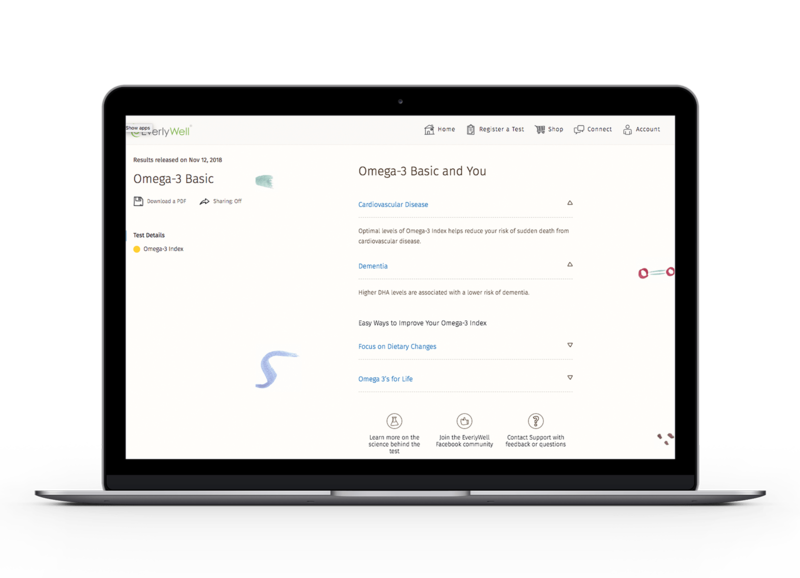 You will get your Omega-3 Index and guidance on how to improve or maintain healthy levels of both EPA and DHA for lifelong wellness. What is an Omega-3 Index? Why would I want to know my omega levels? 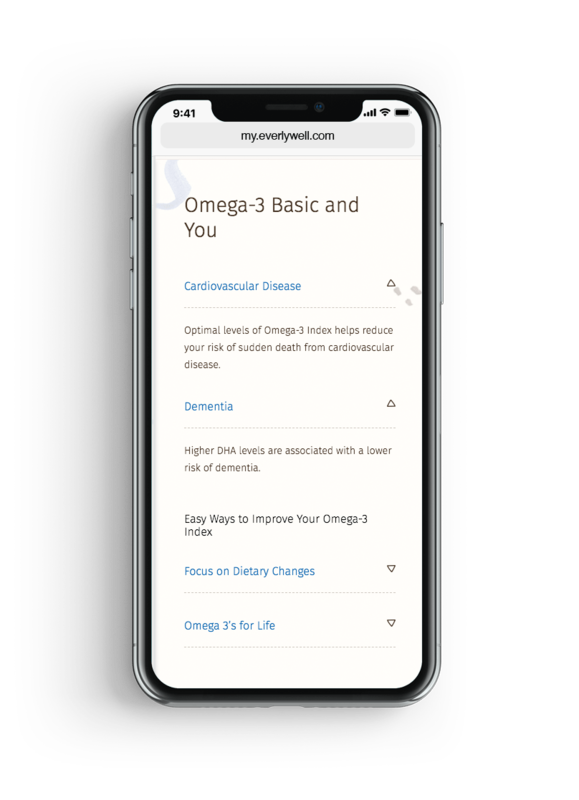 How can knowing omega-3 fatty acid levels help my well-being? What is the difference between omega-6 and omega-3 fatty acids? What is the difference between the Omega-3 Basic and the Omega-3 Plus test? Why are omega-3 fatty acids important in pregnancy?